Learn 3 Methods for Inexpensive Dental Implants! 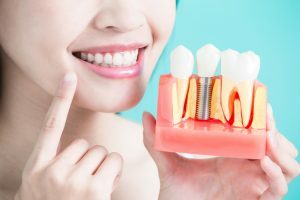 Are you considering dental implants? If so, a big factor in your decision is probably cost. You may think that dental implants are too expensive and rule them out right away. That’s not necessarily the case! In fact, dental implants can be the best kind of low-cost cosmetic dentistry for you. 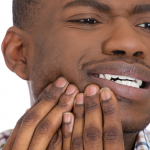 Don’t think a typical bridge or denture is the only solution. 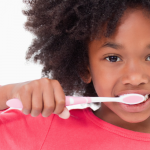 Consult with a local dental office or clinic for guidance. Asking the right questions is crucial to your search and one of these locations can guide you. The average cost of dental implants can be comparable and even lower than other options if they’re the right fit. You’ll avoid choosing to pursue a procedure that’s not right for you and may even find that implants are the best for your wallet. Explore the variety of dental implants available. You may think that dental implants can only be permanent replacements, but in fact the most popular option is a set of removable dentures that attach to the implants. These dentures can either be removable by the patient or be bolted on with titanium, though the latter option will require a dentist to remove them. You can also have a permanent crown attached to the implants. Since there are multiple options, you can choose the best and most affordable dental implant. Locate a good prosthodontist. With a prosthodontist affixing your dental implant or implants, you’ll receive specialized care from an expert. Prosthodontists are different from other dental practitioners since they focus on prosthodontics in particular. They are trained and educated to efficiently and expertly embed the implants correctly. With this care, dental implants can be an inexpensive long-term option with low-maintenance costs. 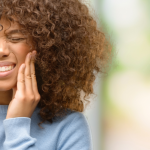 If you want help on your journey to find prosthodontic services, contact the experts at Penn Dental Medicine at 215-898-8965. 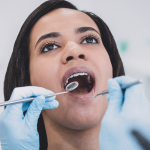 Penn Dental Medicine is the clinic associated with the University of Pennsylvania School of Dental Medicine, and offers patient-centered care under the supervision of university doctors. Penn Dental Medicine can consult with and advise you on the best options for your procedure and help you find the best inexpensive dental implant plan available for your needs, consult with you on different dental implants, and connect you with a prosthodontic expert right in our office.